It’s the silent killer, the deadly gas that plumbing engineers, gas boiler manufacturers and many other organisations within the heating industry constantly warn about, and now a carbon monoxide leak is going to be at the heart of an episode of Coronation Street. Fiz Brown, one of the soap’s most popular characters, will fall into a coma after being exposed to carbon monoxide poisoning. However such scenes are all too real, and a constant risk for those with faulty gas boilers all over the country. Realising the sensitivity of the story, the producers of the soap took advice from leading gas safety experts and they know that many of the viewers all over the UK will be facing the same risk if they don’t ensure their faulty boiler is repaired or replaced. The episodes will reflect the risks organisations such as Gas Safe Register are trying to warn people about, the dangers arising from leaving a faulty gas boiler un-repaired or using an engineer who isn’t Gas Safe registered. Where at all possible, an old or faulty boiler should be replaced. Statistics from the Department of Health reveal that at least 4,000 people are admitted to hospital every year suffering from carbon monoxide poisoning. Over the past 12 months more than 50 people died. In March for example, plumber Andrew Hartley was jailed for three years when carbon monoxide escaped from a boiler he had worked on, killing the daughter of multimillionaire publishing boss Chris Anderson in Bath, Somerset. There were also a whole series of deaths through the spring and summer caused by disposable barbecues placed in tents on camp sites. 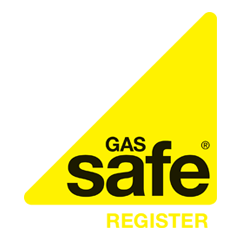 “An annual gas safety check should be a top priority for every homeowner” said Paul Johnston, the Chief Executive of Gas Safe Register. “If you’re thinking of having gas work done, only use a Gas Safe registered engineer. It’s the law.” Mr Johnston praised Coronation Street for highlighting the issue. Despite the dangers, around 43 percent of people in the UK fail to get their appliances checked regularly. 1 in 10 UK citizens have never had their boiler checked.